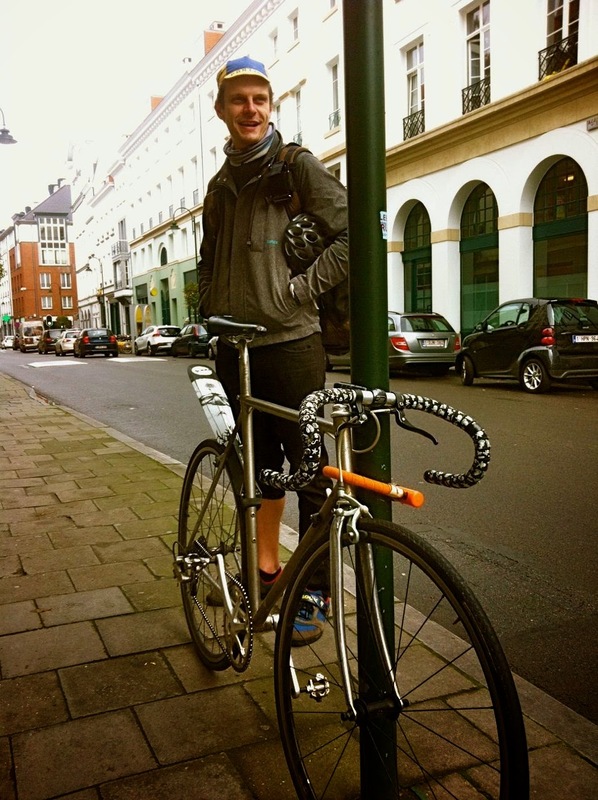 Walking down the street in Brussels on Friday, this bike caught my eye. Or rather the stony-eyed Santa face on the mud flap did. I looked up and saw a grinning character appear in a nearby doorway. “Is that your bike?” I said. “Are you a courier?” I asked. Speaking of mail, I got some good new postcards recently. Help keep my mailman busy. Send me a postcard from wherever you are and I'll send you one back! - Tristan Cerf, a spokesman for the Swiss company Migros, after the company accidentally distributed coffee creamers with a picture of Hitler on them.